Ahhh, your first voyage at sea. Many people think becoming a pirate captain is easy—just grab a boat, a ragtag crew, and pursue your rogue ways—but it's not so. Upper-level piracy actually involves intense training and land exercises on pirate base camps before you earn your "sea legs." It's all very intricate—and secretive of course—but nevertheless, you have completed the grueling training portion and are ready to set sail! Congrats! You'll need your ship, of course, and supplies, and your parrot, and wait...don't even think of pushing off from shore without the proper captain's hat! This Carribean Pirate Hat is the ideal topper for your hard-earned wardrobe. 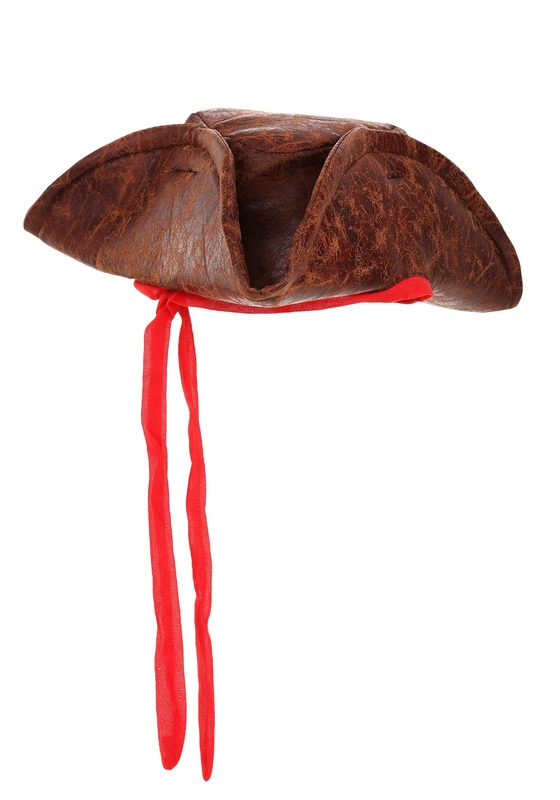 It's a classic tricorn shape with a perfectly distressed, faux leather material for that "I have spent years at sea, pillaging and plundering," look. It's fearsome. It's weathered. It's the perfect hat for you to make your big blue debut. Remember, the most important thing for a pirate on the high seas is his reputation—you want to be respected and feared in equal measures. 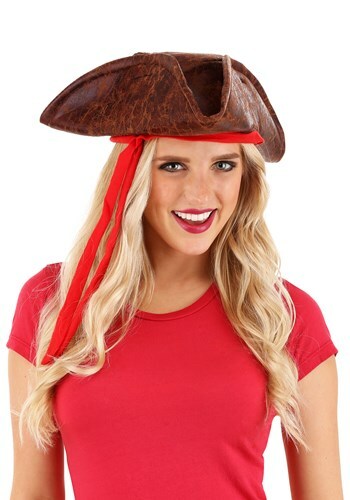 And if there is anything we've learned about pirates after all these years, it's that no one respects a pirate captain without a really good hat. No one.